The color of this fountain pen ink reminds me of (now-discontinued) Amazon from Caran D'Ache. That is to say, I love this green. No red, no blue, no yellow - just green. As an aside, I checked a couple of weeks ago - you can still find the old Caran D'Ache inks in some places if you look around for them. I ended up not buying Amazon - at the time, I wasn't able to commit to a green 100%, and since that time, I've fallen for several other greens and won't miss Amazon. Anyway...back to Gruene Cactus Eel. All of the inks in Noodler's "eel" line are lubricated. 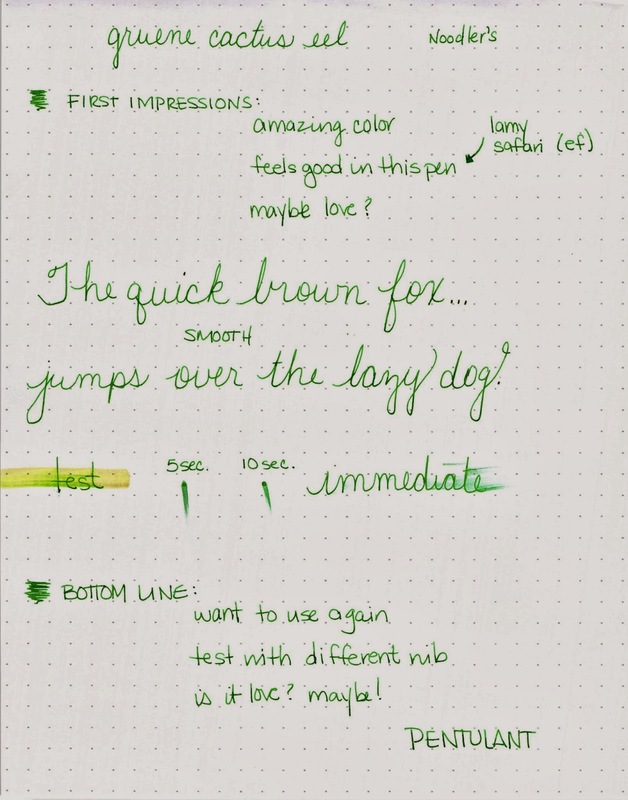 As in, "slippery as an...." Have you seen the PDF that Noodler's and Goulet Pens published? 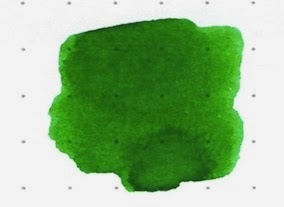 It shows Noodler's inks and their special properties. Looks like it was last updated more than a year ago, but here you go. So, what are lubricated fountain pen inks? They are specially formulated inks that could apparently help your pistons (pens and converters) gliding smoothly. These inks may also flow better from the pen due to the lubrication. I tried to find out exactly what component makes an ink lubricated, but came up (ahem) dry. Flow was good from this ink in the Lamy Safari with an Extra Fine Nib. 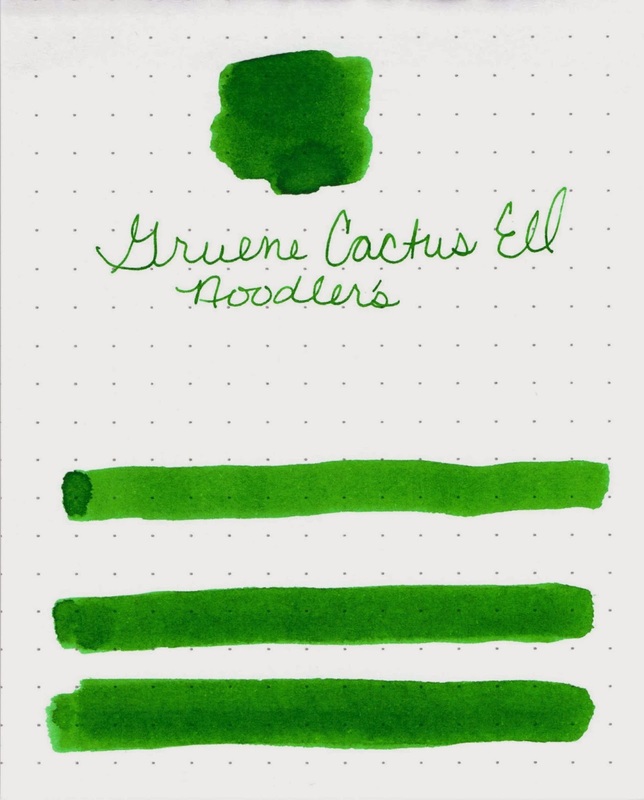 Was it better than some other inks? I really don't think so. The one big issue that became more annoying the more I used the ink as that it took forever to dry. Even with the extra fine nib. Forever. I'm not out completely on this or other lubricated inks. If I had a pen with flow issues, I'd probably try a lubricated ink before giving up on the pen. But what about you? Have you tried lubed up inks? Love/Hate? Or maybe you have a favorite green ink you'd like to tell me all about?